The prayer app would be available for the faithfuls across the world both in Android and iOS platforms, supported with all user languages. The project was funded by the youth ministry of North American Archdiocese of the Church. Fr. Zacharia Varghese, who conceptualized the prayer app, said Qleedo provides a new facet to the richness of Orthodox prayer life by connecting believers to the saints and each other via accessible technology in an era where culture, language, and time are no longer barriers. 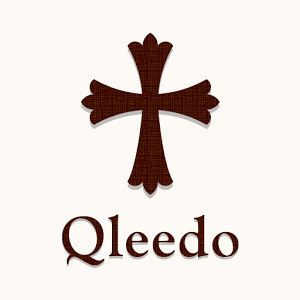 “Qleedo aims to enrich spiritual devotion by providing a key to prayer. When we are living in a world where technology dominates our lives, spiritual life alone should not be isolated from that. The app is expected to bring more people to the way of spirituality, especially the youth, by making use of the best aspects of communication technology,” said the priest. The Oleedo App would help a faithful to an appropriate prayer indexed to the church calendar. The season, festival, and hour are programmed so that the prescribed text displays in the right language. It has biblical texts, scripture-based thoughts and features about saints. It would also connect the people with the clergy for advice and their prayers. It would also help disseminating church campaigns and announcements.